Yuri is the top individual girl group member in terms of brand value for October. 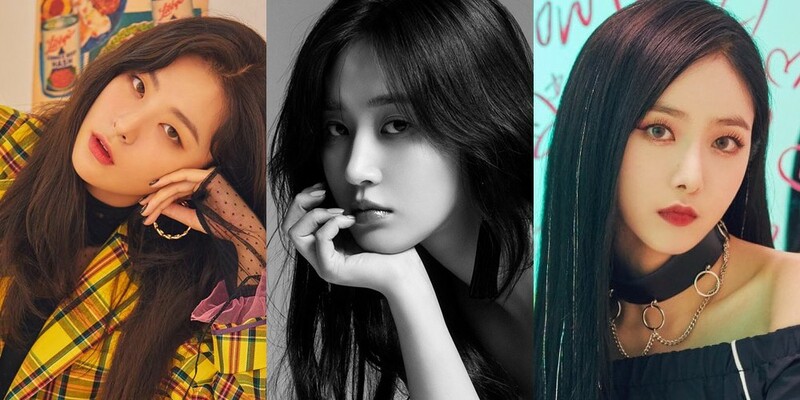 According to the Korea Institute of Corporate Reputation, Girls' Generation's Yuri was at the top of the October data, followed by�Red Velvet's Seulgi�and�G-Friend's SinB.�86,053,562 pieces of data were examined from September 19 to October 20. Yuri had a total of 3,025,686 points, while Seulgi had�2,581,078 points and SinB had 1,831,059 points. The rest of the girls ranked were Jisoo�(Black Pink), Irene�(Red Velvet), Hwa Sa�(MAMAMOO), Jennie�(Black Pink), Joy�(Red Velvet), Xuanyi�(Cosmic Girls), Sowon�(G-Friend), Lisa�(Black Pink), Yeonwoo�(Momoland), Nayeon�(TWICE), Bona�(Cosmic Girls), Ros��(Black Pink), Luda�(Cosmic Girls), YooA�(Oh My Girl), Yeri�(Red Velvet), Momo�(TWICE), Wendy�(Red Velvet), Cheng Xiao�(Cosmic Girls), Sana�(TWICE), Seohyun�(Girls' Generation), Mina�(TWICE), Choi Yoo Jung (Weki Meki), Na-Eun�(A Pink), Arin�(Oh My Girl), Sooyoung�(Girls' Generation), Kim Do Yeon�(Weki Meki), and Binnie�(Oh My Girl).